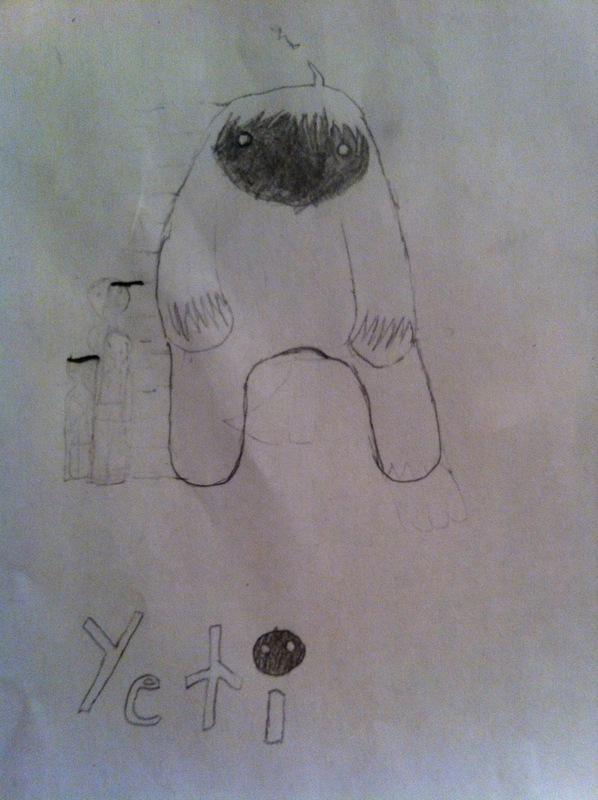 My son’s Yeti illustration soon to be gracing his 7th birthday cake. Note the custom Yeti logotype and faint scale he made on the side to help him determine human to Yeti proportions. My son W really likes it!